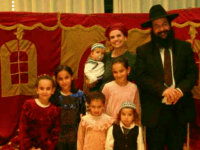 TEL AVIV – Palestinians are becoming more extreme and an increasing number of them support terror against Israel, a new poll published on Sunday found. 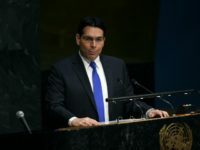 TEL AVIV – Israel’s Ambassador to the UN Danny Danon on Tuesday slammed Palestinian Authority President Mahmoud Abbas for “running away” from negotiations after the Palestinian leader abruptly left the room following his Security Council speech. 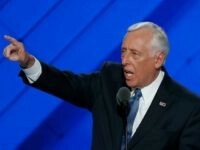 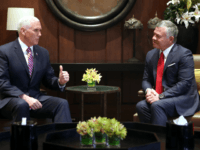 TEL AVIV – The Palestinian Authority formed a committee on Tuesday that will plan a “disengagement” from Israel, including replacing the Israeli shekel with another form of currency – possibly a Palestinian one. 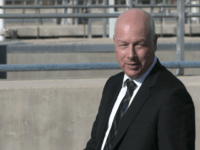 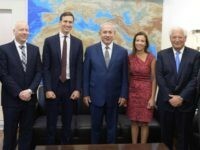 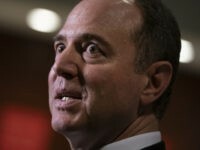 TEL AVIV – President Donald Trump’s special envoy to the Middle East Jason Greenblatt is a “Zionist” who has “no chance of succeeding” in securing peace in the region, the Palestinian Authority said Monday, after Greenblatt slammed the Palestinian leadership for “walking away” from negotiations and “lecturing” the U.S. on its decisions regarding aid money. 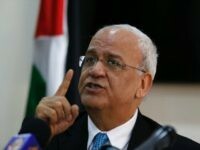 TEL AVIV – Senior Palestinian negotiator Saeb Erekat has urged Palestinian Authority President Mahmoud Abbas to reject a peace plan presented by the Trump administration, Israeli media reported over the weekend. 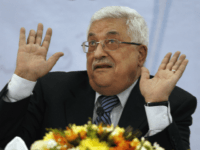 TEL AVIV – Palestinian Authority President Mahmoud Abbas on Sunday said that President Donald Trump’s “ultimate deal” for peace was a slap in the face for the Palestinians, cursing out the U.S. chief executive by wishing ruin upon his house. 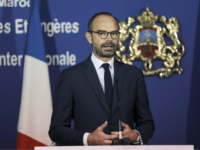 TEL AVIV – Backed by the Arab League, the Palestinian leadership is going ahead with its plan to seek recognition as a full member state in the United Nations in response President Donald Trump’s recognition of Jerusalem as Israel’s capital, Jordan’s Foreign Minister Ayman Safadi said. 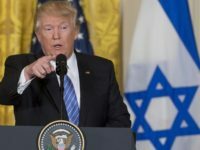 White House: Trump Will Cut Aid To Palestinians If They Spread Lies About The U.S.
TEL AVIV – President Donald Trump remains committed to brokering “the ultimate peace deal” between the Israelis and the Palestinians, but he won’t “tolerate falsehoods being spread about America” and will not fund those who spread them, a senior White House official said on Wednesday. 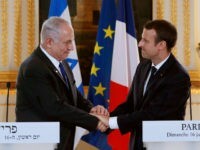 TEL AVIV – In the wake of attacks against European Jews following President Donald Trump’s recognition of Jerusalem as the Israeli capital, French Prime Minister Edouard Philippe on Sunday condemned “well-rooted” anti-semitism in his own country, adding that “the ideology of hate” was “alive” and causing French Jews to immigrate to Israel out of fear. 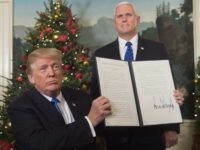 TEL AVIV – President Donald Trump’s “historic” recognition of Jerusalem as Israel’s capital “makes peace possible,” Prime Minister Benjamin Netanyahu said on Monday. 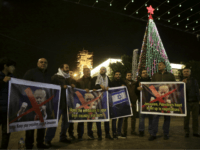 TEL AVIV – Prime Minister Benjamin Netanyahu slammed European “hypocrisy” and “double standards,” saying EU leaders were quick to condemn President Donald Trump for his recognition of Jerusalem as the Israeli capital but remained silent in the face of retaliatory rocket attacks into Israel from Gaza. 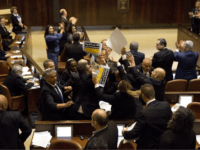 TEL AVIV – Palestinian rioters used an ambulance as a human shield during violent clashes in Ramallah on Saturday, the IDF said. 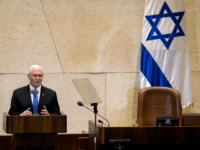 TEL AVIV – Palestinian Authority President Mahmoud Abbas will not meet U.S. Vice President Mike Pence during the latter’s visit to the region later this month in retaliation for President Donald Trump’s recognition of Jerusalem as Israel’s capital. 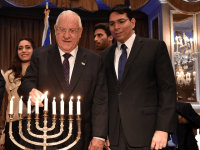 TEL AVIV – Palestinian factions have announced three “days of rage” beginning Wednesday in response to President Donald Trump’s announcement to formally recognize Jerusalem as the capital of Israel and to transfer the American embassy from Tel Aviv. 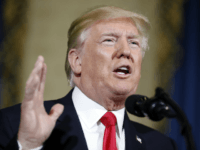 TEL AVIV – President Donald Trump on Tuesday told Arab leaders in the region, including Palestinian Authority President Mahmoud Abbas and Jordan’s King Abdullah II that he intends to relocate the U.S. embassy from Tel Aviv to Jerusalem. 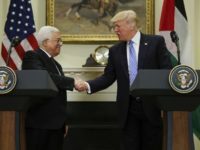 TEL AVIV – Moderate Arab states including Egypt and Saudi Arabia are pushing Palestinian Authority President Mahmoud Abbas to resume negotiations with Israel as part of a wider strategy to confront the region’s growing threat from Iran, a senior Egyptian official told the daily Israel Hayom on Monday. 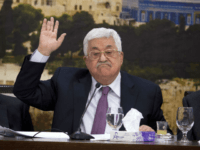 TEL AVIV – Saudi Arabia told Palestinian Authority President Mahmoud Abbas that he must either accept a proposal being drafted by the Trump administration aimed at reaching a final status solution to the Israeli-Palestinian conflict or resign, Israel’s Channel 10 reported. 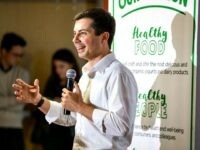 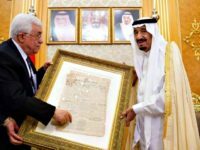 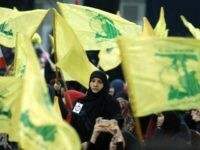 TEL AVIV – During Palestinian Authority President Mahmoud Abbas’ surprise summons to Saudi Arabia last week, the PA’s official daily published anti-Iran articles claiming the Islamic Republic was spreading its “tentacles” by appropriating the Palestinian cause as part of its ongoing attempts at regional hegemony. 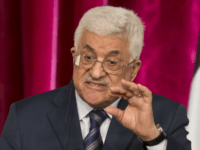 TEL AVIV – Palestinians may revert to endorsing a one-state solution for Arabs and Jews – a scenario that would mean the end of the Jewish state – if the now “endangered” two-state solution fails, Palestinian Authority President Mahmoud Abbas said Saturday. 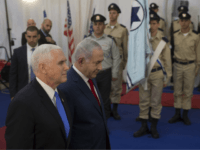 TEL AVIV – The Trump administration has begun drafting a proposal based on a two-state solution to end the Israeli-Palestinian conflict, The New York Times cited analysts and officials as saying on Saturday.